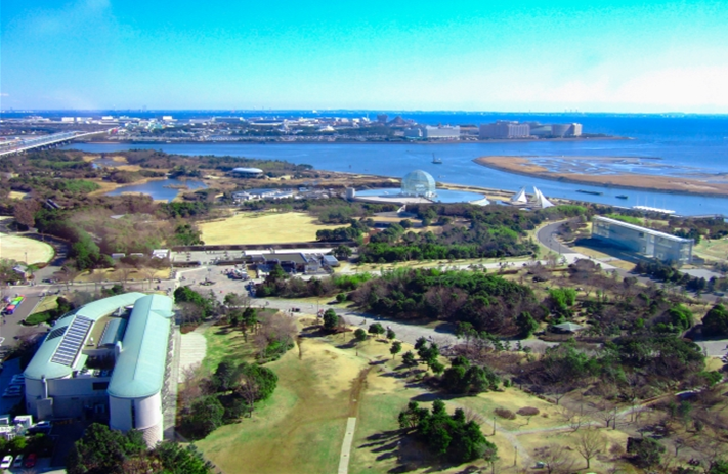 Kasai Rinkai Park is one of largest park in central Tokyo, facing Tokyo Bay. The large waterfront park offers beautiful view for both artifical and natural things, and is very popular spot for dating. Kasai Rinkai Park is located just across the Edogawa river from Tokyo Disney Resort, and establised in 1989. It was built on reclaimed land which includes two mamade islands and was created through the efforts to preserve natural Tokyo Bay habitat. You can take a rest in concrete jungle Tokyo although you are still in central Tokyo. 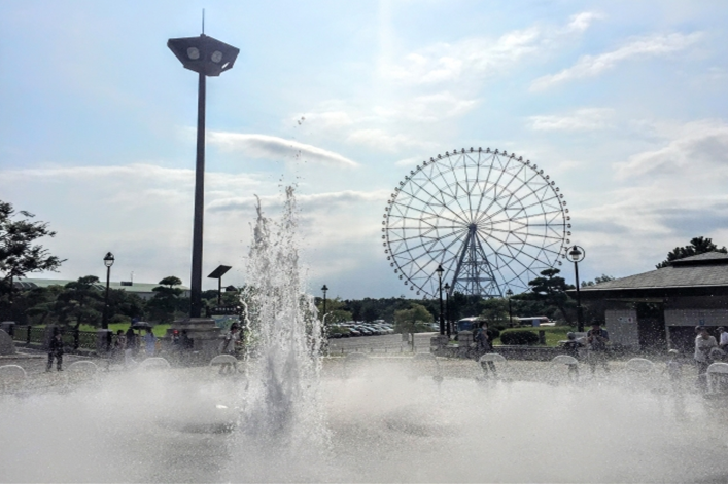 The waterfront park offers not only beautiful view but also Tokyo Sealife Aquarium, bird sanctuary, a ferris wheel, BBQ field and an observation building. The park also has some walking trails that crisscross the lawns, gardens and beaches. Most bustling point at Kasai Rinkai Park is ferris wheel named Diamond and Flowers Ferris Wheel. The origin of name can be known after sunset, the ferris wheel light up like sparkling diamons or flowers. The ferris wheel is the second tallest ferris wheel in Japan with hight of 117 meters, and offers perfect views of Tokyo Bay, Tokyo Disney Resorts. Mt. Fuji also can be seen when weather is nice. An area in the park is designated as sea bird sanctuary. Bird watchers can walk the area and take a photo except the marsh field that is restricted. 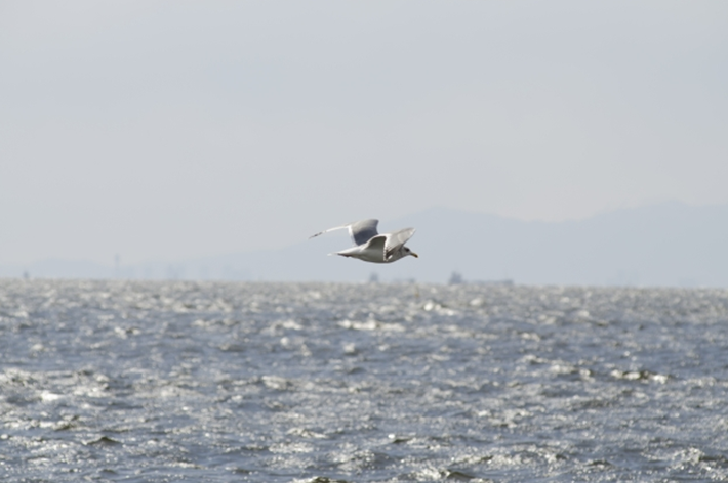 If you like to know information of local birds, it is recommended to vist The sea Bird Center. The park is also popular as Hanami(viewing cherry blossoms) spot when Japanese party under cherry trees in bloom. You can see cherry blossoms with beautiful sea scenery. Kasai Rinkai Koen station on JR Keiyo and JR Musashino line: 2 minutes by walk. Water buses can be used from Odaiba and Ryogoku to Kasaai Rinkai Koen. Please check official website for time table.